"Kanye and Beyonce have definitely been influenced by our work"
When you think of 70s music, you think of disco. And when you think of the genre’s pioneers, you think of only a handful of acts. We guarantee one of these is Earth, Wind and Fire. 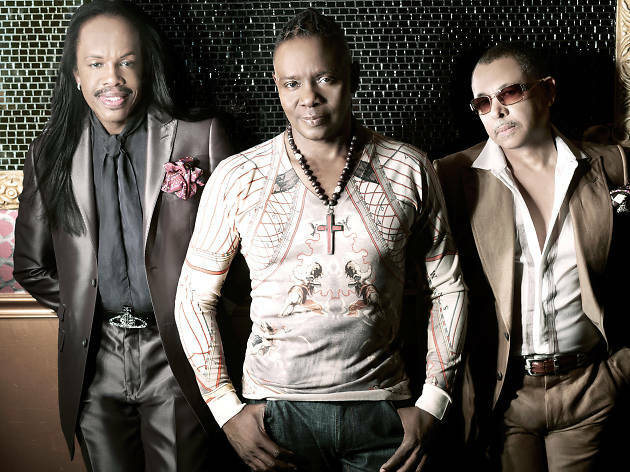 The group, now more than 45 years old, have seen their way through 70s disco, 80s pop, 90s R&B and into the millennium. Their hits like Boogie Wonderland and September are still played on dancefloors across the globe and they’ve experienced a pretty major revival over the past few years. The aptly titled Now, Then and Forever album was a 2013 cracker and, since then, EW&F have been touring widely and continuing to get their fans, new and old, all funky at gigs. Also aptly, it’s now September and the band arrives in all its glory in our SAR for the first time. 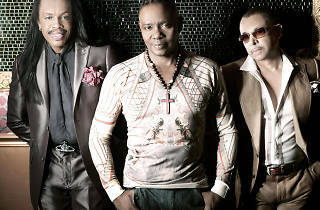 Prior to their AsiaWorld-Expo gig, bassist Verdine White tells us about the success of Now, Then and Forever and how he remembers his brother, the band’s late frontman Maurice White. Verdine, Now, Then and Forever. You’ve said this album is a return to a really organic sound and you just let it all hang out. How? Producer Neal Pogue, who worked with Outkast, did a marvellous job. He was so in tune with us. We thought that we could go back to our roots. We were pleasantly surprised that we sounded great just like that. That was really fantastic. Well, of course, that was Maurice’s philosophy. And you know he passed on February 4 this year. It was his philosophy about Egyptology and universality. He really lived by that. We were really sorry to hear about Maurice’s death. As his younger brother, how have you coped? It’s a process, you know. You just remember what he did and what he gave you. I remember what he gave me as a person and I respond by remembering everything he told me. Of those things, the biggest was to just be yourself. And to make music for the right reasons. For people. Whenever you make music for people, those are the right reasons. Surreal. Not only personally but publicly as well. The phones were ringing and it was all on the news, like 10 dimensions all at one time. It was on the internet. It was everywhere. Fans, personal friends, colleagues. It was so surreal. Were you angry that no matter where you went there were constant reminders of Maurice? No, not at all! I was just grateful for the love that people had for him. We received flowers and gifts from everyone and, from my neighbours, I got this big card. It went from the floor almost up to the ceiling and was full of their signatures. Neighbours from all over the block saying it was from them! I’d never even met some of them before because it’s a big block. They all signed! What’s it like having icons like Kanye and Beyonce all say you guys as their favourite band? Well, you know, it’s a compliment when people are influenced by your work and they have definitely been influenced by our work. And it’s always nice to see people who go back to listen to a lot of our music and really love what they hear. What advice would you give a young artist today? You just have to make it your life. This has been our life. Maurice made it his life. That’s what I would say.